The Fish Pay For The Charter! We take pride in sending you home with premium fresh wild Salmon and Halibut fillets. My customers tell me year after year they go home with more money value in fish, than the cost of the CHARTER! At $11.00 to $15.00 per lb for Salmon and $25.00 to $39.00 per lb for Halibut fillets at your local seafood market, it’s easy to see that you only need 75 to 100 lbs of fish to cover the 2-day rate! Now that’s a great ROI (Return on Investment) – a fishing trip that pays for itself. You, your family, and friends will want to return year after year as most of my customers do. The Castaway Advantage is, you get to enjoy all the fun and excitement of reeling in the fish and filling your freezer with fresh fish, while breaking even on the cost of the charter! Who could ask for a better deal than that! 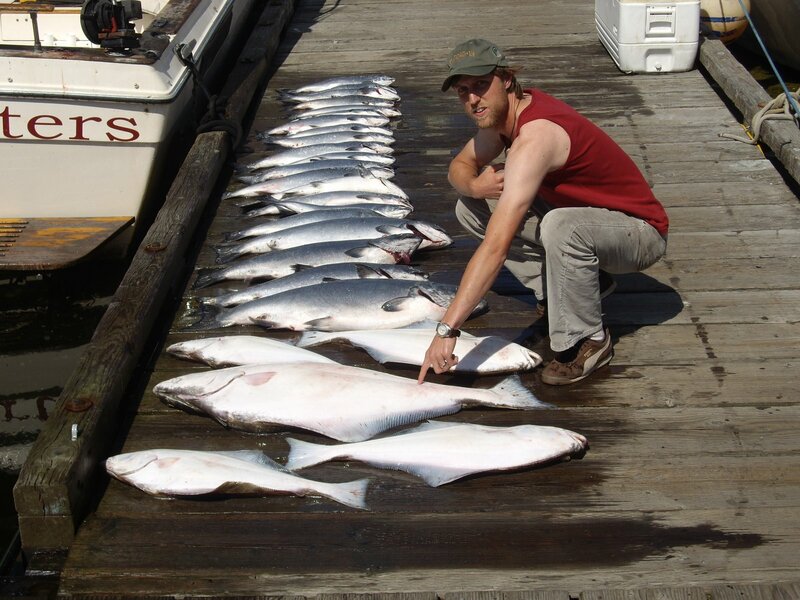 Check Out Our Fishing Packages! Book Now For The Best Dates!